There are a million ways to get creative on Twitter—but we’ll tell you right off the bat that there’s no one strategy to get you all the social media fame. Knowing what works for your specific business can take a bit of time. Once you finally figure out what to say, there’s always the immediate follow-up questions—how do I compose the tweet? Does the link go first, or the content? Does “banner” mean “picture” here, or what? Is it okay to add an emoji? To answer all these questions, we’ve compiled these ten pointers that you can follow, to create flawless tweets. Before you get started, remember the rule of thumb for Twitter—your brand should have a viable goal to meet. If you can’t check that off the list, you might want to reconsider whether you should even get into marketing on Twitter, because the only thing worse than an empty Twitter handle, is an inconsistent one. You’ll lose followers quicker than you gain them, and winning them back is no easy feat. Let’s look at ten tips that will help you craft a perfect brand tweet. With fake news fast becoming a perennial problem on the internet, nobody wants to be told that their information is unreliable. Being a brand that delivers authentic information is critical, because nothing drives people away like false information. It may seem harsh—but that’s the price you pay for being wrong on the internet. Always fact check any information you put on social media—be it about your own brand or any content you curate from third-party sources. Yes, Twitter is a fast-moving universe with a zillion bytes of information being shot around every second—and it has a short attention span. But that doesn’t mean you can tweet about anything and gain social media cred from it. To be a brand that’s offering something of value on social media, keep your content relevant to your brand and the industry it exists in. For example, if you’re a brand that offers a customer service solution, you can build content about things related to the industry, and talk about how a business can deliver good customer service. That’s one way to draw a crowd to your Twitter handle, since everyone likes useful nuggets of information. This rule especially holds true when you’re trying to jump on a trending topic or hashtag. If you have no relation whatsoever to a trending topic, then it makes sense not to throw out your opinions—unless you can do it in a catchy or witty way. Don’t go around tweeting about things just because you can, or just because your brand has amassed a decent amount of followers. You have all of 280 characters to say something, but you don’t have to take up all of that tweet real-estate. If you can say it in fewer words, by all means, do. Brevity is the soul of Twitter, after all. Another way to save space and help your tweet read better is using a URL shortener. If the link you’re sharing is going to eat up half the character limit, it not only looks clunky but is also a waste of space. You can use a third-party URL shortening tool like Bit.ly or Rebrandly to do this. 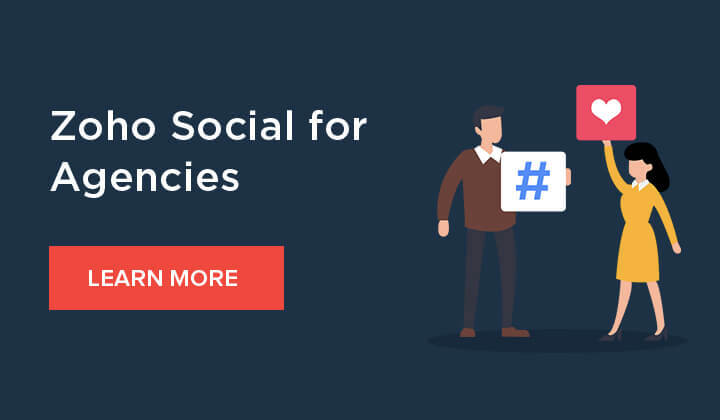 If your business uses a social media management tool, it may come with an integrated URL shortener or have it’s own—or in some cases, both. You can use these to create short links in the posts that you broadcast across your social media pages and profiles. Look at this tweet, below. If an organization—whose job is communicating with readers—can make a typo this bad, that tells you the nature of the Twitter-verse in a nutshell. While most tweets are forgotten quickly, ones of this nature go viral rather quickly, especially when you’ve built a sizable following. You can use a tool like Grammarly to help pick up grammatical and punctuation errors in the tweets you compose. We cannot emphasize the importance of this, but never ever share links without double-checking them. You know the most anti-climatic thing since Jared Leto playing the Joker? Broken links. And, unlike the movie, your audience can leave the screen immediately. You don’t want the link you’re sharing to lead to an insecure website either—that’s another huge turn-off for any reader on the internet. And once that happens, they’re less likely to trust links from you in the future. That last rule continues here. Check your visual content—images, videos, gifs, whatever—for corrections in content, design, size, and quality. That’s your preliminary step. The next step is to ensure that this media you’re sharing is optimized for the network. If it’s an image banner, get the dimensions right. Otherwise, what’s interesting about your visual could be totally lost in the preview, or not display well for smartphone users. Any media you share needs to fit with the platform and be ideally optimized for it. If it’s a GIF or video, ensure it doesn’t exceed supported sizes. If you’re compressing the size to fit Twitter, ensure the quality doesn’t drastically drop. It’s often hard to determine what to say, but there are certain things we know not to say on the internet. From airing bigoted opinions to making light of a serious crisis, brands have paid the price for running their mouth in the past. For these sorts of mistakes, Twitter is practically the gold standard. What does this mean for you, a brand in the internet age? Well, you’ve got to scan your content for not only technical, factual, and grammatical correctness-but also for coming across as offensive. It’s not only important to be relevant but to also be appropriate in your social media posts. You don’t want to join the bandwagon of brands that get flak for coming across insensitive and condescending. Skip that line, and always scan the tweet body, the hashtags, and the media you use from your brand’s handle. Reputation is very delicate and it can easily be damaged by a terrible tweet. Unlike Instagram’s 30 hashtag limit, Twitter doesn’t have an official limit. You can hashtag your way right up to 280 characters. Don’t let that entice you into actually trying, though. It’s always better to use well-researched, quality hashtags that compliment your brand, than throwing in random ones. Quality over quantity sticks the landing. The network itself recommends using not more than one or two relevant hashtags, per tweet. It’s a literal eye sore. Treat your tweet composer box like any other text document—add the right spacing, and line breaks that make your content more readable. If the character limit is your concern, then refer to #3 on this list. A well-placed emoji too can add more readability to an otherwise monotonous tweet. But knowing how to do it well, is key. Think of all the iconic Twitter brand handles. From the witty fast food chain Wendy’s and the fun food-ordering platform Seamless, down to the quirkiest choco-sandwich in all of internet—MoonPie—the most interesting businesses on Twitter are actually those that have, well, a personality! These brands not only sound very human, they also have pretty well-curated online personas. These brands make it a point to constantly engage with people who reply to their tweets, constantly building on these personas. Take a look at this tweet thread of Wendy’s, where not just people but also other brands are participating in a nonsense conversation, which is the whole USP of the brand’s Twitter persona. The more automated and formal your tone, the harder it is to enjoy what you’re saying. Today’s social media audience expects more than just a cursory greeting that even a Twitter-bot could handle. So try to keep your tone as personable and non-robotic as possible.